St Sepulchre’s Cemetery, which opened in 1848, was restricted to the burials of people who lived in the north-west of Oxford, more precisely in the area covered by the three ancient parishes of St Michael-at-the Northgate, St Mary Magdalen, and St Giles, and the new St Paul’s district chapelry. The cemetery is strictly divided up into those four separate areas, so that people who lived next to each other in life lie near each other in death. St Paul's parish (later including St Barnabas) runs along the entire length of the right-hand (north) wall. 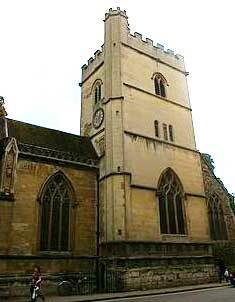 The part of Oxford covered by the cemetery was until 1932 covered by two separate registration districts: Oxford (St Michael-at-the-Northgate, St Mary Magdalen, and part of the St Paul’s district chapelry); and Headington (St Giles’s and part of the St Paul’s district chapelry, and their subsequent daughter parishes of Ss Philip & James and St Barnabas). This means that when searching for deaths in Free BMD fit is necessary to select both Headington and Oxford as probable registration districts to find the people buried in this cemetery. (Note that when the people who are buried here died away from home, their deaths are registered in the area where they died, even if they were only very temporarily away: for example the death of a man buried here who lived in St Giles’s parish but was killed in the Shipton-on-Cherwell railway disaster was registered in the Woodstock district. The descriptions below relate to the 1861 census, just before the four key areas began to be subdivided into these new parishes. The total population then served by the cemetery was 9,051. This ancient city parish was the only one of the group within the city wall. It stretched from Broad Street southwards to Market Street/Brasenose Lane, and was in the Oxford registration district. The whole of the Parish of Saint Michael, Oxford. Comprising Nos. 9 to 31 on the East side of Corn Market Street, Nos. 32 to 67 on the West side of the same Street – Market Street – Bell Yard – Ship Street – Exeter College to Broad Street on the East side of Turl Street – Jesus College to Broad Street on the West Side of Turl Street – Tredwell’s Yard – the south side of Broad Street – Saunder’s Yard – Boxall’s Passage – nos. 1 to 12 on the South side of George Street – New Inn Hall Street from Corn Market Street to the House of Dr. N. Durell, Esq. and back again from the House of W. C. Bramwell, Esq to Cornmarket Street. – Elm Cottages and the Star passage. 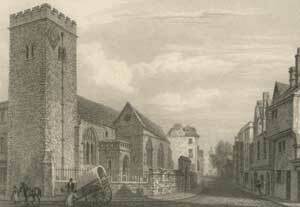 * In 1861 New Inn Hall Street did not stretch up to George Street, but turned east to reach Cornmarket. When the extension to the north was made in 1872, the former eastern section was given the new name of St Michael Street. This ancient city parish stretched from Walton Street in the west to Parks Road in the east, and was in the Oxford registration district. From 1850 there was a chapel of ease in George Street for the poorer parts of this parish: this was closed in 1919 and demolished in 1835 to make way for a cinema. This ancient city parish covered a huge area outside the original walled town of Oxford stretching right up to Summertown, but the northern part was originally sparsely populated. It was in the Headington registration district. There was also a separate census book covering the two institutions in the area: the Radcliffe Infirmary (163 persons) and the Oxford Workhouse (192 persons). 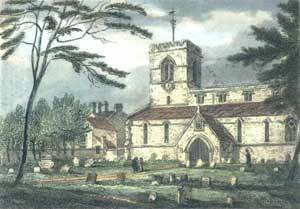 With a population of 2,542 (compare St Michael with just 971), something had to give in this burgeoning parish, and in 1863 the new parish of Ss Philip & St James was created. This was followed by St Margaret (1896), and finally the southern part of the parish of St Andrew (1906). These parishes continued to bury their dead in St Sepulchre’s Cemetery. Remaining part of Parish of St Thomas. Bounded on the South by District No. 18. On the East by Walton Street. On the north by Jericho Street. And on the West by the Oxford Canal. Comprising Nos. 36 to 54 Walton St, Jericho Street, Jericho Gardens, Cardigan Street, Portland Place, Union Street [now Hart Street], and King Street. 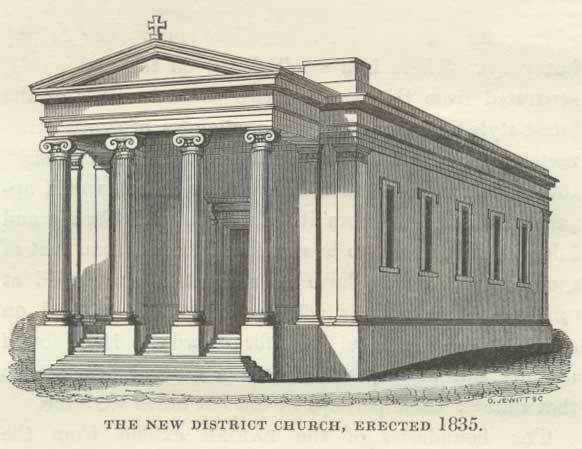 Jericho continued to grow, and in 1869 a large chunk of the St Paul's district chapelry in St Giles's parish was given to the new parish of St Barnabas, which continued to bury its dead in St Sepulchre’s Cemetery. Almost a hundred years later, in 1964, St Barnabas was to absorb the whole of the chapelry area, and St Paul’s Church closed: the building has been Freud’s Café since 1988. In September 2015 the parish of St Barnabas was united with that of St Thomas, and the new parish covers much the same area as that of the ancient parish of St Thomas up to 1836, but also includes the part of St Giles's parish taken into the St Paul's district chapelry that year.